Our team has had a couple of weeks to digest our time at CES in January, and with it, we’ve been able to reflect on the experience. Being not only our young team’s first trip to CES, but also to Las Vegas, we were overwhelmed with a plethora of stimuli seemingly all at once. Every individual had a unique take away from the excursion, and I asked them to explain to me what stood out the most to each of them. Going to CES was a bit like going to a rock concert with about 10 bands playing at the same time. 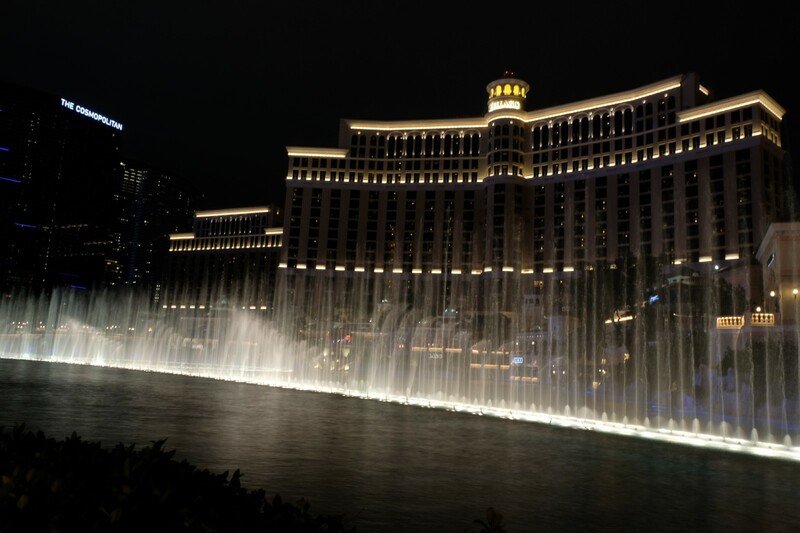 Between events and booths at the Las Vegas Convention Center, the Sands Expo, and nearly every resort hotel on the Strip, we could have easily spent the entire week at one location and would have completely missed out on what happened at the others. Each of these venues was packed-full with exciting new tech to see, and each new location was like walking into a candy store for the first time. As the week went by, though, I realized, quite frighteningly, that the more tech I saw, the more I became “numb” to its effect on me. “What does this place have? A flying car? An exoskeleton for physical therapy? A robot that replaces room service? Okay, that’s cool. Let’s go somewhere else.” Make no mistake — these are new, and sometimes very BIG, pieces of tech, but their quantity at CES was just a trifle bit overwhelming. Combine all this information with similar forms of presentation — big, larger-than-life displays with shiny surfaces, custom lighting, and lots of touch screens — and you get a tech-induced fog that could easily render you senseless. By far, the companies and technologies that really stuck with me after we returned from Las Vegas were those that focused on revealing their tech updates to me via an experience, rather than a massive, static display. Google was the obvious winner here. Rather than just have their latest and greatest up on the wall for passers-by, they revealed it bit-by-bit through a story, and not just any story, but a series of amusement park rides complete with wait times, waiting line props, and a real-life scenario that helped riders understand how their tech could fit into their own lives using real-world problems. It wasn’t just there to impress, but to make an impression. Great experiences don’t have to be rides, though. At the Klipsch exhibit, their lead Industrial Designer took the time to walk us through the history of their products and tell us face-to-face why the new products at this year’s exhibit were so special. It was the like the difference between going to an art museum just to stare at the paintings versus going with an audio-guide that revealed the backstory of how each piece was created. Tailored experiences like these don’t just convey information in a better way, they convey it in a more personal one. In a world increasingly besieged by gradients, lights, and noise, big players will need to focus on the human experience if they want to make a lasting impact. CES is where companies go all out on exhibits. I was enamored by all the various exhibit designs and the way they crafted their experiences. Pulling in visitors, inviting them to stand and stare, or guiding them through the booth. Perhaps most notable exhibits, or at least the hardest to miss, were Google’s. 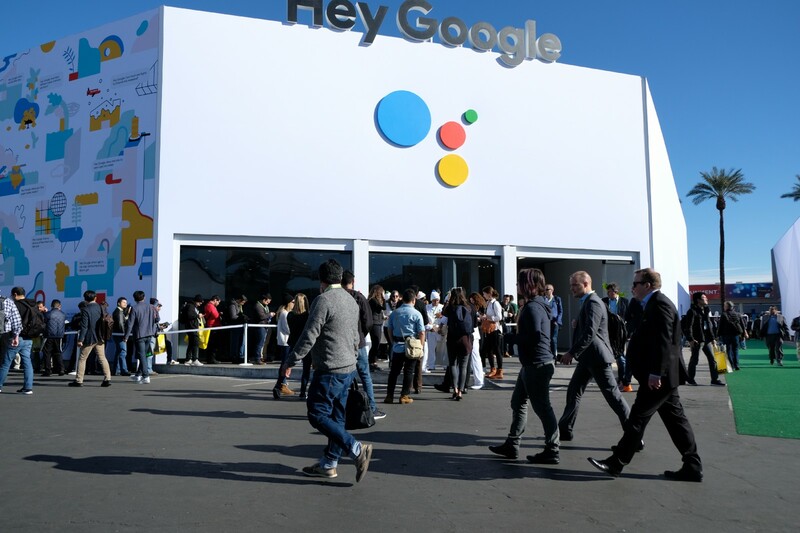 Their main outdoor exhibit, which housed various interactive displays and demonstrations, also contained an entire ride which rewarded riders with free Google Home Hubs and drew in visitors who might have had no previous intention to browse through Google’s offerings. The Google gumball machine conveniently located next to the shuttle stops outside the Las Vegas Convention Center had people waiting in line for over 2 hours. If you didn’t stop by the Google building or gum all machine, you would still have seen the various Google Assistant workers in their iconic white outfits working at other exhibit booths and wandering around the convention. Google created an attraction and a prolific identity, turning themselves into one of the most talked about companies at CES. I was thoroughly impressed by not only Google’s physical exhibits, but also the presence they were able to create, weaving their way into the experience of nearly every CES attendee. CES was an amazing experience; filled with visuals of the world’s future. Amongst all of the spectacles that were presented, what I ultimately walked away with as the most memorable moment was far less revolutionary. On the Sands Expo, there was a booth hosted by Gamespot, where they allowed attendees to get up on stage and race in the latest adaptation of Mario Kart for the Nintendo Switch. 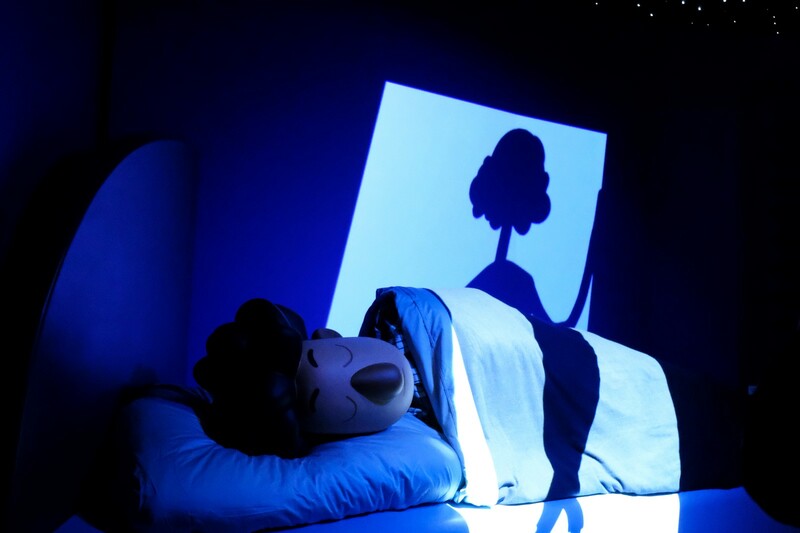 As I grew closer, I recognized a voice and a figure on the stage. The man that sat at the commentator’s desk was none other than my favorite Super Smash Bros. commentator, D1. A little bit of background about me, I played Smash 4 competitively(locals) while I was still in college. I did not advance far in the competitive scene so that I could focus on my studies, but I still followed the major players and tournaments intently. So to even see my favorite commentator in person was amazing. I wanted to catch a photo with him; to find out if there was ever a break in the program, I approached a man on the side of the stage. As the image of this man got clearer, I realized with great shock that I recognized him as well. I was legitimately stunned, words would not come out of my mouth as the man questioned why I approached. The man that I was struggling to get an audible note out for was Fow, the best Ness player in the world from Smash 4. Suddenly a world that I only experienced behind the screen had breached my reality in the most unexpected way. This event in my life reaffirmed how connected the world is currently and what it is becoming. Not only did CES bring together people from various backgrounds and cultures, but people from various fields and communities. With advancements each in technology, the ability to connect is becoming more and more profound; and the similarities that translate between fields are becoming more apparent. While amongst the new and sci-fi-esk that populated CES, Shuan, Sean, and I found ourselves wandering towards something more familiar. In the back of Central Hall sat Kodak, drawing us in with its friendly 70’s aesthetic. To be fair, the first thing that caught our attention was the new fashion line they had on display plastered with Kodak’s old-school branding (find their shirts and fanny packs now at forever21.com!). But once in the inner sanctum, we stayed for what must be the ideal of old meets new. Rather than rebrand to meet the expectations of the future that is now, Kodak has embraced its past and nostalgic aura to create new products that can only be described as brilliant, and an instastar’s fever dream. Take the 10-megapixel Kodak Smile Instant Print Digital Camera for instance. 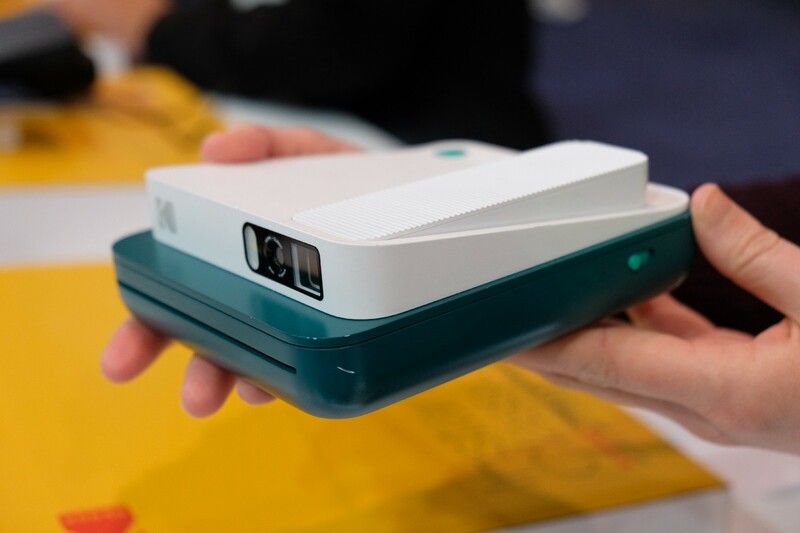 Taking direct influence from the instant-print cameras of our parents’ youth, this gem recreates the magic of analog photography with the needed update of ZINK® Zero Ink Printing Technology and a microSD card slot. Perfect for adding instagram-worthy pics to your vintage-looking photo-wall, the Smile Instant Print Digital Camera allows you to edit and apply filters before printing. If that wasn’t enough, the new Kodak Smile App will incorporate AR to play videos when an analog Kodak photo is scanned on the app. Product gushing aside, seeing this display at CES has set a standard in my mind for how older companies should bring themselves into the future. Rather than losing themselves in trying to adapt to new technology and trends, I believe following Kodak’s footsteps of embracing their identity and simply looking for ways to integrate the new into what they already are, rather than the other way around, will build a stronger brand recognition and allow companies to thrive in multigenerational relevancy. Not only was this our first time going to CES, it was our first time in Vegas. This was our chance to get away from the daily hubbub of our studio for a bit and focus on bigger things — to find some much-needed clarity. As of a quarter ago, Ben and I conducted our first quarterly retreat. It was a time to bond, and a time to reflect. A time to address issues we’d dusted under the rug. It was at our first retreat that we finally got around to resolving some fundamental brand inconsistencies we “never had the time to get to”. It was also at our first retreat that we discovered a missing ingredient in our culture: team retreats. With this trip to Vegas, Ben and I introduced a new quarterly ritual to the rest of the team and it has already more than justified the investment we made. It can be hard to shut off your mind from daily deadlines in order to focus on long-term goals. There’s always something more urgent, something more important to do. Left unchecked, months will pass without a moment to step back and look at the bigger picture. Even we had fallen prey to the tempting wiles of “I’ll get to it later”. We admit it. We got caught up in the rush of every day. Thankfully, there is a solution, and the solution is simple — and fun! Taking your team outside of the day-to-day environment will give you all a chance to not get caught up with today and take a moment to think about tomorrow too. The communication and management challenges associated with growth we’d been facing for the past few months gently unfurled themselves over the course of the week, relationships grew stronger, and some important lessons were learned. This time, we hope what happened in Vegas didn’t stay in Vegas! The Catalyst is a global innovation magazine that seeks to feature stories about products, brands, and people who are reimagining the way we live, work, and play. Our readers want to inspire change and realize the world of tomorrow. The Catalyst is a compilation of the thoughts, dreams, and theories of the ParadigmID.com team, the world’s premier innovation, design, and strategy studio.